Please note the date for the Carneddau event on May the 6th has now been changed to the following Sunday 13th May 2018. 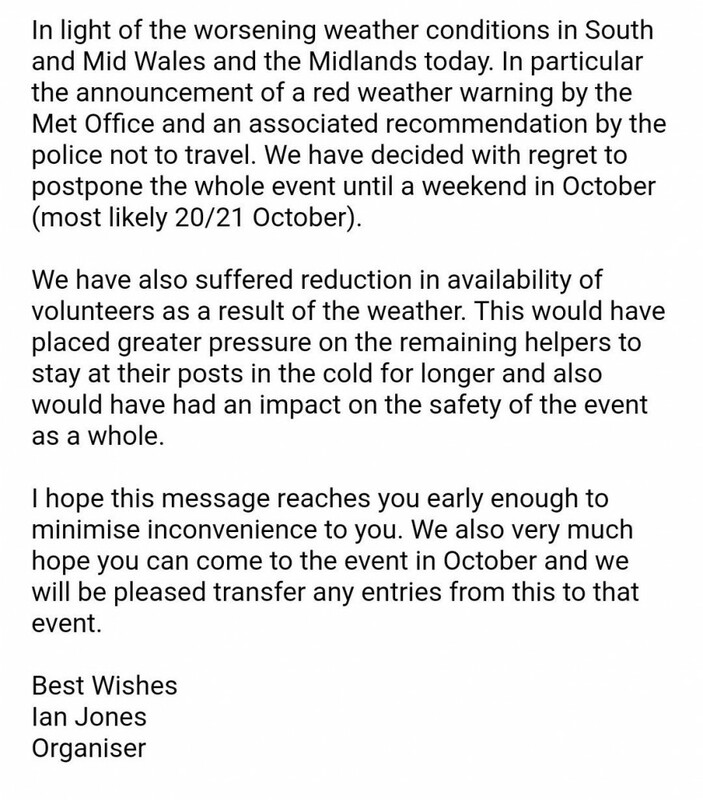 The Planner and Organiser Terry Smith apologies for any inconvenience this may of caused. Hopefully as it is nearly 2 months away sufficient notice has been given to allow people to reorganise their diaries. Please note there has been a change of venue for our next event due to windblow at Allt y Crib. 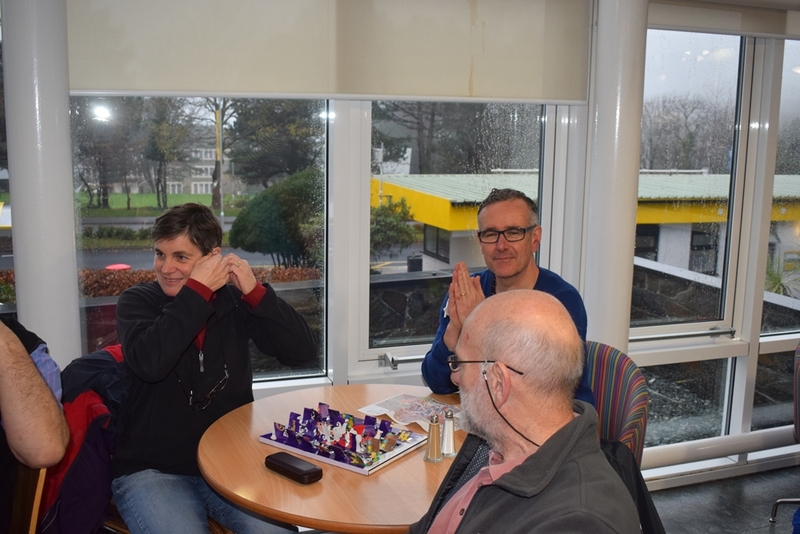 Following our last event in 2017 members had their annual presentations, which were held at the Ta Med Da, Penbryn Hall, Aberystwyth University Campus. Thanks Eunice for planning a great event at Craig Lan Las today . Well done all those taking part – it was certainly very fresh on the top with some great views in the sunshine. Thankfully the Hafod Arms at Devils Bridge provided a great option for a pre run coffee and warm up before a slightly delayed start. Thanks everyone for being so accommodating about the change of plan. Many thanks to Mr Edwards and Mr Humphreys for kindly giving us permission to hold the event today and helping us enjoy a great day of orienteering. Thanks to Tom for helping put out controls and registering everyone and thanks to Steve on download. Thanks to Robert, Paul, Eunice and Gabriella for collecting in the controls. All members are really welcome to come and join us for the AGM at the Bluebell Inn in Llangurig - we lift share to travel to the meeting which is a central point for the club. join in with ideas and feedback for planning next years activities for the club. of course. Please do send me any other ideas for discussion for the post AGM part. 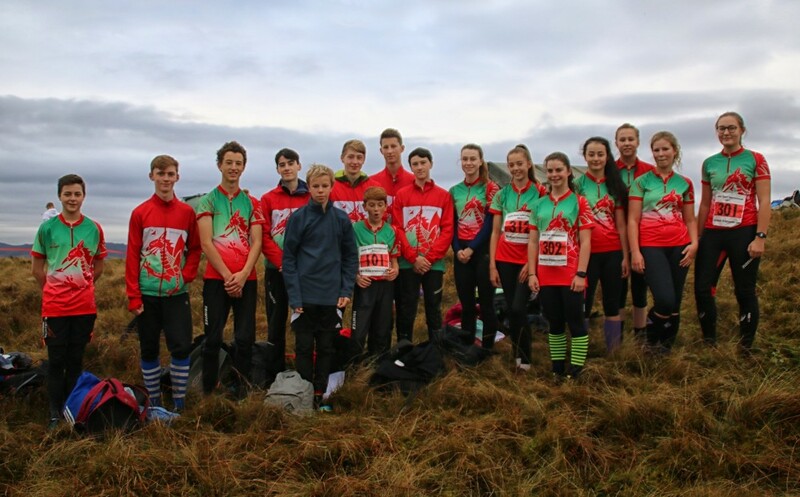 Many thanks for taking part in another great year of Mid Wales Orienteering. Congratulations to Megan on receiving her Sports Star of the Year Local Hero Award from Radio Ceredigion at the Cliff Hotel Gwbert. Megan has had an impressive year competing and performing well for Team GB in her first year in the women's senior elite age group in the World Cup in Finland, World Orienteering Championships in Estonia and World Games in Poland as well as UK based international events JK & Scottish 6 days. As a club we are incredibly proud of her achievements and the inspiration she provides for club members. Well done Megan - keep shining bright! A big thankyou for all the support she has received from club members. Great to see her Mum Eunice, coaches Mark Saunders of the Welsh Junior Squad & Ceredigion based coach Dic Evans were able to attend the event with her. A big thankyou to Robert for planning the event at Hafren Forest today! Results are up on the MWOC website. Well done all - some challenging terrain out there...and the deepest moss that nearly swallowed Alice!! Thanks to Steve and Ieuan on download and registration and to Kate, Daniel, Michael, Gabriella, Terry, Bev, Mark, Alice, Mike, Clive & Robert for making short work of collecting controls and everyone else who helped out today! The travellers rest in Llanidloes was a great place to compare splits and discuss plans for our next event - a Welsh League event at Gwanas on Saturday afternoon 7th Oct. We are also organising the Junior Home Internationals between Scotland Ireland England & Wales over that weekend with the Individual races on the morning of Sat 7th Oct and the JHI relay races on the morning of Sun 8th Oct. Hope we will see you at the Welsh League event! If anyone would like to help out at the JHI events and join in the excitement we would love to hear from you too!